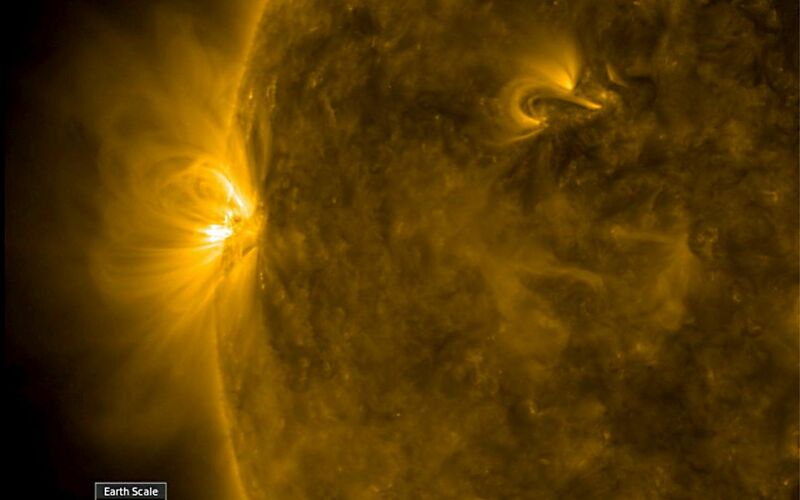 The sun featured just one, rather small active region over the past few days, but it developed rapidly and sported a lot of magnetic activity in just one day (Apr. 11-12, 2018). 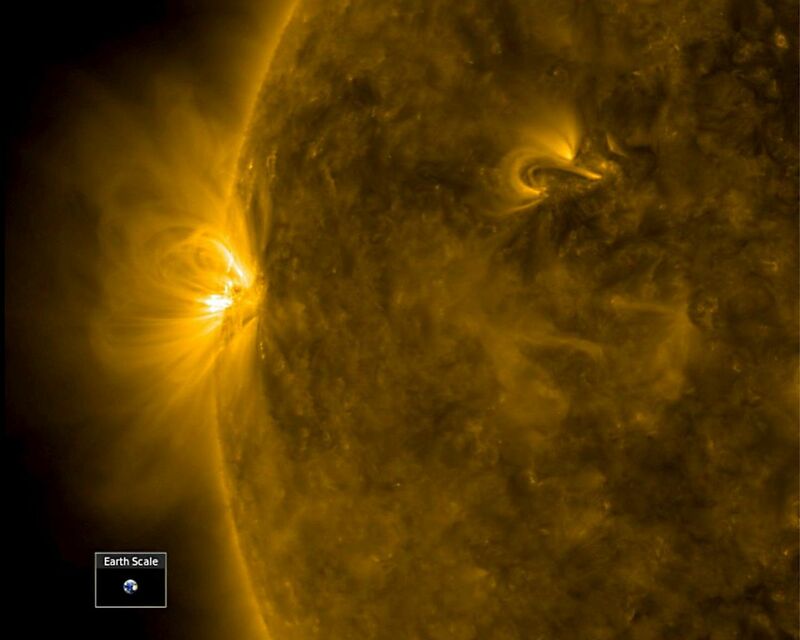 The activity was observed in a wavelength of extreme ultraviolet light. The loops and twisting arches above it are evidence of magnetic forces tangling with each other. 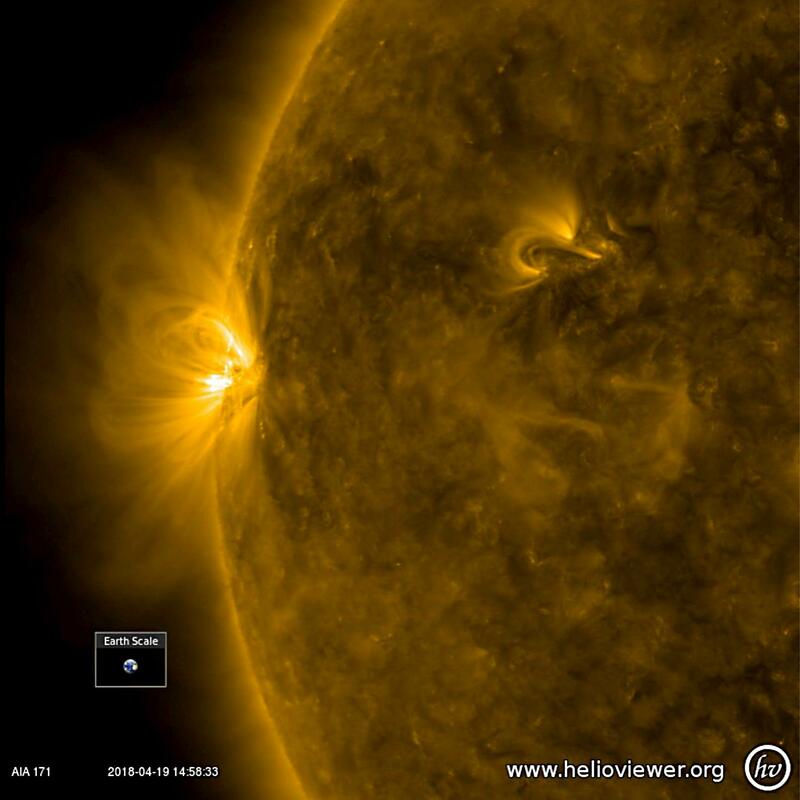 The video clip was produced using Helioviewer software.